Hi! 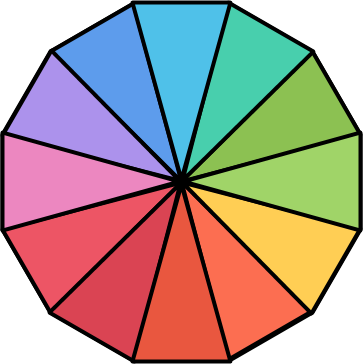 This is Stefan speaking, a freelance web developer from Vienna, Austria, and I am the creator and lead developer of Panoptikum.io. You could classify Panoptikum as a social media network focussed around podcasts. A podcast is an audio file, i.e. audio encoded in a digital format, that can be downloaded or streamed from the internet and - in contrast to broadcast radio - listened to, whenever you feel in the mood of doing so. Usually podcasts come in series of episodes and you can subscribe to them using a podcast feed. These feeds are also the very heart of this site, that subscribes to all podcast feeds, that users of the site recommend and presents information about the podcast and the individual episodes in an easy readable form. There are other platforms out there, Apple’s Itunes being probably the most prominent of these,there are even search engines dedicated to podcasts out there, e.g. Fyyd, but all of them never felt inviting to me, neither as a podcast listener nor as a podcaster (a podcast producer). It would be also nice to have a quick chat to other users, that are currently on the site. Why should a podcast be listed on the site? For you as a podcaster: it’s another way of publishing your podcast. And Panoptikum is an additional possibility for you to get in touch with the community of podcast listeners, especially your current listeners. Hopefully, it helps lets you attract more attention than before. For you as a podcast listener: it’s a chance to share your opinions and recommendations and get other listener’s opinions, thoughts and recommendations. Will Panoptikum.io always be free? All the software, that has been written and will be written for Panoptikum.io is free and open source software and is licensed under the AGPL license. For podcast listeners, access to the full functionality of the site will be free forever. For podcasters, a basic listing and introduction of you and your podcasts will always be free. It’s definetely not the plan to make huge amounts of money with this site. Some of us are dedicated podcasters and all of us are podcast listeners and our main focus is to create a site where the podcasting community feels at home. To build the Panoptikum community two things are needed: users and the list of their podcast subscriptions. Most podcatchers (= podcast listening apps) can export this list in OPML format. We would be very happy, if you register and upload your OPML file. If you have questions before registration contact sonja@panoptikum.io. Check out if you find your podcast and yourself as a podcaster. If none of your listeners have uploaded their OPML file including your podcast or your podcast is brand new, you can add your podcast to Panoptikum via the upload of any OPML file including your podcast feed. Your next step is the registration. After the Login you can upload your OPML file including your podcast, configure your account and select (opt-in) what you want to share with the community. Spread the word. Ask your listeners to upload their OPML file and leave recommendations for your podcast at Panoptikum. This improves the ranking of your podcast at Panoptikum which is based on all uploaded OPML files and helps Panoptikum to get known. We are also interested in your feedback, especially which features you miss at other podcasting platforms and you would like to see here. Feel free to send these comments to sonja@panoptikum.io. If you are a web developer, interested in this project, and in coding in Elixir and Phoenix, get in touch via Twitter @panoptikumIO, Email: stefan@panoptikum.io or visit our Github page. There you will find the source code for this marketing page (that is written using Jekyll and jekyll-Octopod), but more important the Panoptikum web application itself in the Panrepository. Panoptikum is free and open source software. If, by coincidence, you are located close to Vienna, Austria, there is an Elixir & Phoenix study group. See Vienna BEAMers for details.